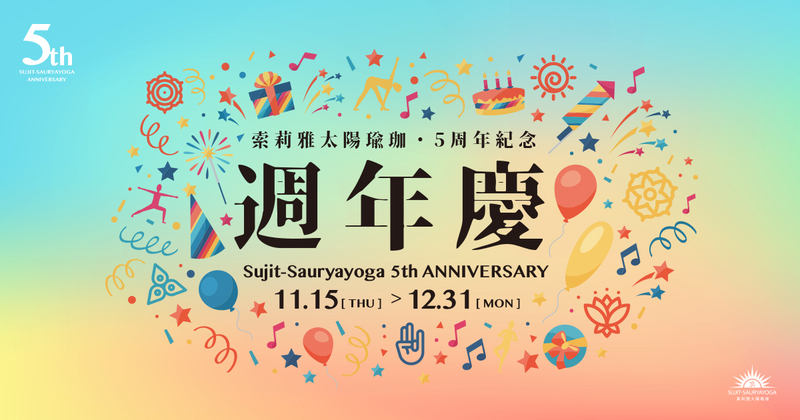 Sujit-Sauryayoga 索莉雅太陽瑜珈活動特輯 男子漢也需要瑜珈！Why not Man? Explore your mind to enjoy your life more!! 男子漢也需要瑜珈！Why not Man? Explore your mind to enjoy your life more!! I think men need yoga practice because they have to find the balance point in their life and adjust their way of thinking. Generally speaking, men are expected to be strong, both physically and mentally. Men often try to appear to be strong and confident and do not like to share their feelings. However, if they do not find a way to release their pressure or depression, the accumulated negative emotions will affect the body as well as the mind. Another reason that men should practice yoga is that compared with women, men are more prone to lose muscle flexibility. If they do not exercise muscle flexibility oftentimes, their joints and muscles are more easily to suffer injuries. With yoga practice, men can learn to relax, to put down the burden them and express themselves more easily. Occupied by work, men might also say that they don’t have time for yoga practice. Just like what I mentioned above, if you know how to combine yoga practice with daily life, there is not need to always come to practice with the teacher. When you are sitting in your office, you can spend a few minutes performing simple dynamic yoga movements. If you are overwhelmed by your work and lack time to take rest, you can only spend 5 to 15 minutes doing yoganidra, which provides the relaxation and comfort equal to a good 6-hour rest. Have you ever wondered why yoga teachers who give many classes a day but still able to keep energetic in classes? That’s because they take 15 minutes of yoganidra between classes to boost up their energy. According to your work, you can opt for different yoga practices. If you work requires you to sit all the time and do mental work, you need more postures practice complemented with a few breathing exercises to release the mental stress. If your work is more physical, you can choose more relaxing postures, such as yoganidra and various breathings.